ComicCon ended with a bang, as at a last-day panel for Warner Bros. (parent company of DC Comics and purveyor of DC-related superhero movies), Man Of Steel director Zack Snyder announced there will be a sequel, starring Henry Cavill, and also Batman. No word as to who will play the Caped Crusader, except that it's not Christian Bale. 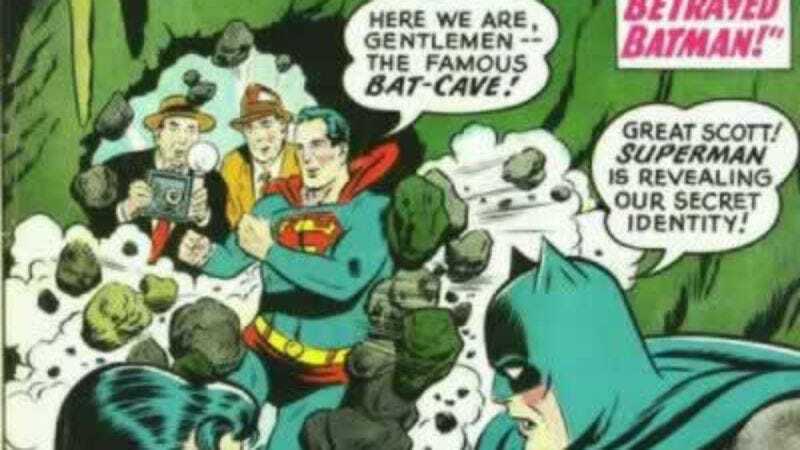 But all you really need to know is that there will finally be a movie that has Superman and Batman in it. The new film, simply titled Superman And Batman, will bow in 2015, and will no doubt lay groundwork for the Justice League movie, which has now been pushed back to 2017 and will one day be pushed so far back that the only way to experience it will be for Superman to fly around the earth, turn back time, and return from the future to tell you about this great movie from the 23rd century that a cloned Zack Snyder was hired by Planetary Overlord Luthor to direct. No word yet as to the plot, but it's probably safe to assume that the two superheroes will start off as adversaries, but then learn to put their differences aside, having realized that a super-powered crimefighter who chose his vocation after his parents were killed and a super-rich and super-tough crimefighter who chose his vocation after his parents were killed may have something in common after all.